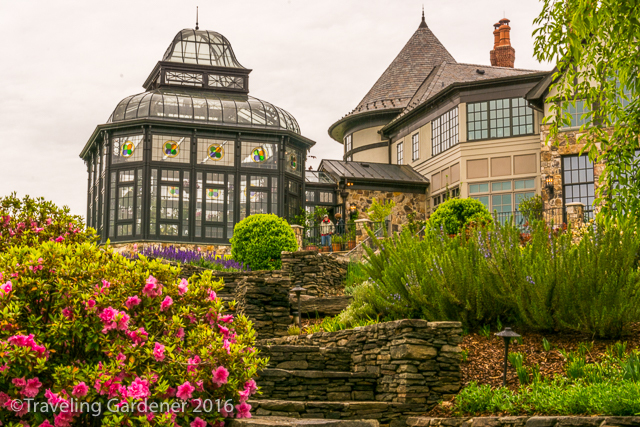 In my continuing quest to visit gardens in all 50 states in the US, I traveled to Virginia for the Historic Home and Garden tour also known as “America’s Largest Open House.” Each year some 30,000 enthusiastic visitors turn out to enjoy the beauty and superb organization of this tour. 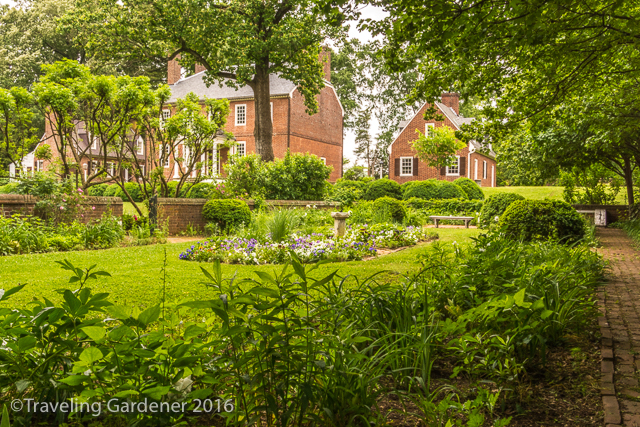 Virginia is the site of our country’s earliest settlements where gardens were essential for survival. It is the home of formative ideas for our governance, the birthplace of celebrated leaders, (eight presidents were born here) and the scene of battlefields for both the Revolutionary and Civil wars. Williamsburg was established by the English Crown to bring about a cross-Atlantic trade. The early settlers success resulted in their ability to build grand homes surrounded by formal gardens with an English style. 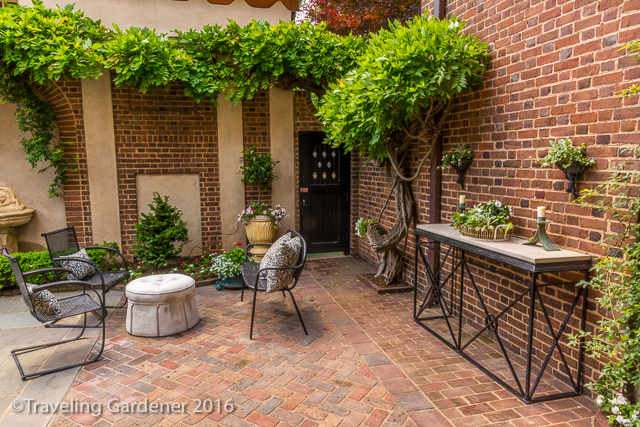 All of these elements come to life in the tour of homes and gardens throughout the state of Virginia. 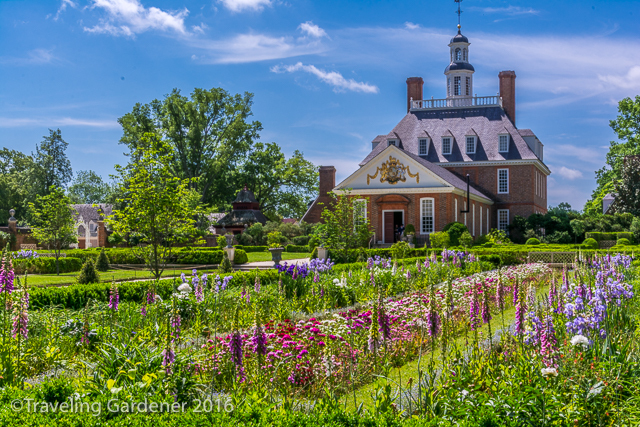 Monticello, Mt Vernon, and Colonial Williamsburg tell the well-known garden stories of Jefferson, Washington, and the early colonists. 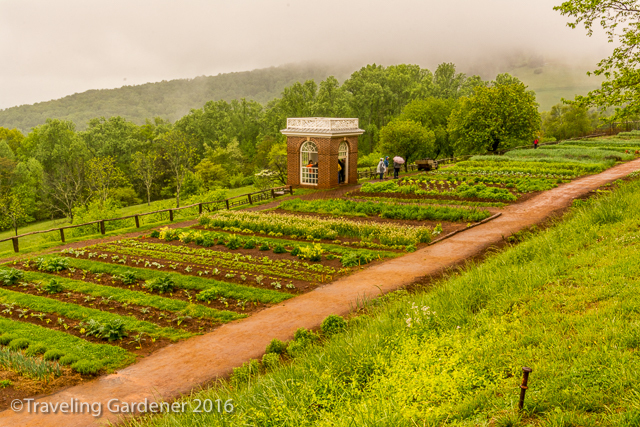 Thomas Jefferson’s Monticello vegetable garden is lush with the many varieties he grew hoping to offer greater varieties useable in the American gardens of his time. Jefferson’s favorite vegetable is said to be peas and he grew 20 varieties. 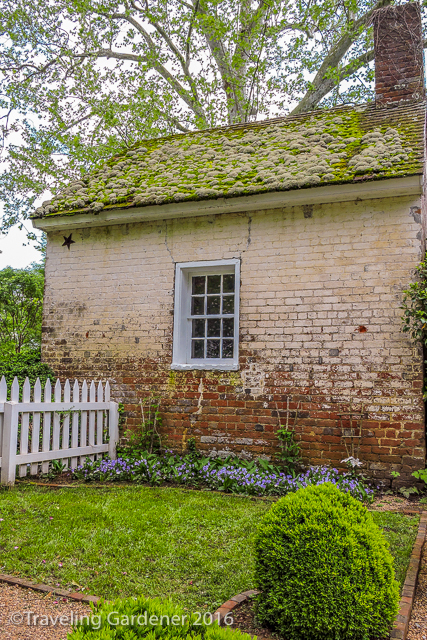 The Tuckahoe Plantation, outside of Richmond, is Thomas Jefferson’s boyhood home.The garden has been restored to the time period with an emphasis on growing food, cutting flowers and herbs. 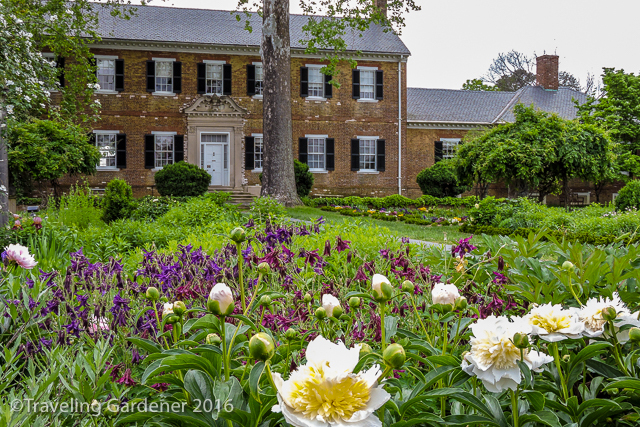 Historical gardens, such as Oatlands Plantation, Maymont Park, (100-acre Victorian country estate of James Henry and Sallie May Dooley) Kenmore Plantation, Chatham House, River Farms (one of Washington’s farms and now the headquarters of the American Horticultural Society) and more are sites open year round and many are included in the various tour itineraries. 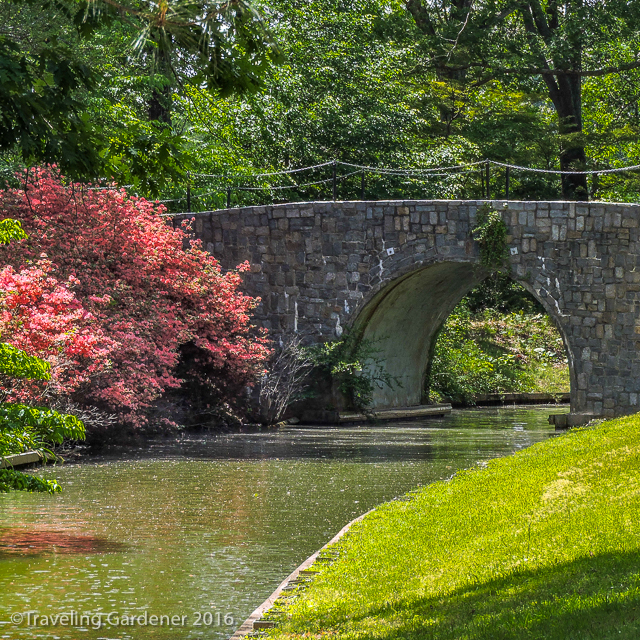 Virginia is lush and green with rivers, coastline, majestic trees and spectacular views. 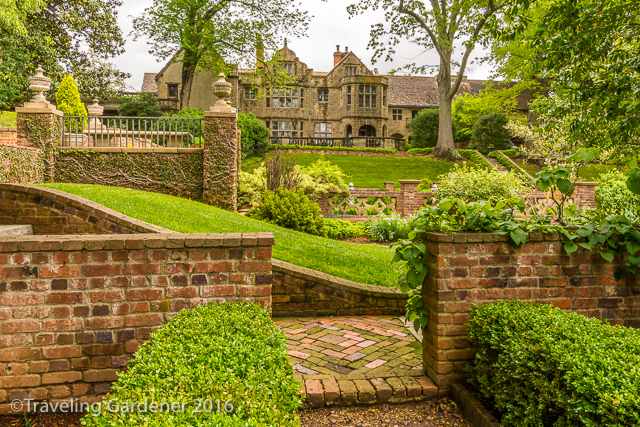 Leesburg, in Northern VA, offered a tour of private gardens on large acreages of rolling grounds. Lawns are a practical feature of these home gardens, where rain and soil combine to easily sprout any maple tree seed or oak tree acorn, mowing allows for open space. 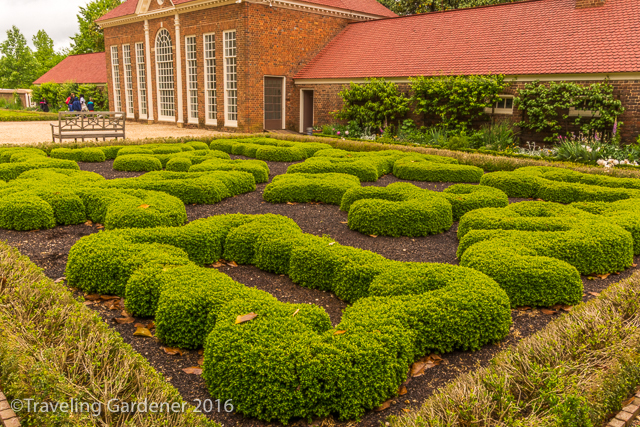 Boxwoods soften the garden and brick walls, buildings, and pathways feature predominately. 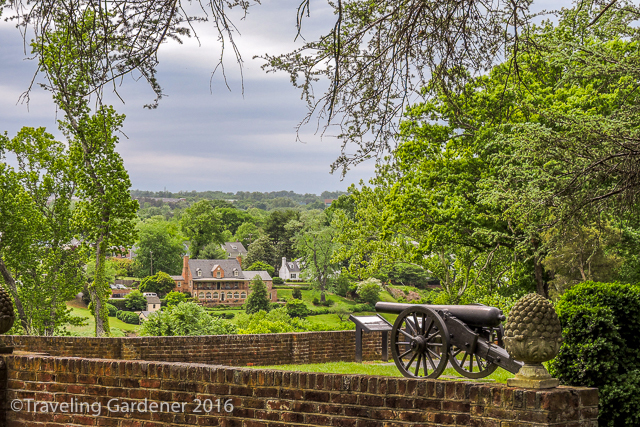 Gardens in Richmond, the capital, are greatly varied. One tour led us down Monument Ave, a historical street of elegant, brick row houses, with rear courtyards designed for contemporary outdoor entertaining. 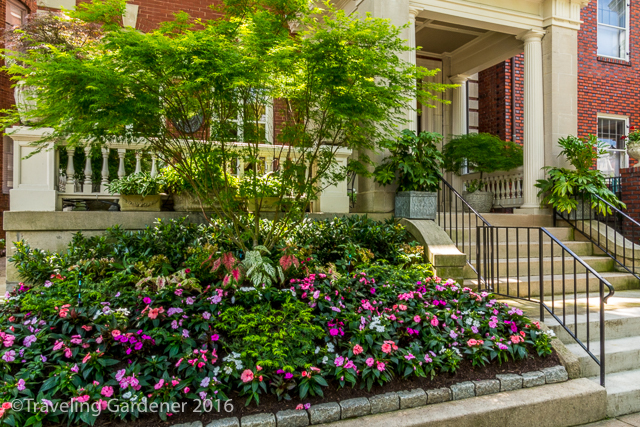 The Governor’s Mansion on the capital grounds opened for a tour of the home and restored garden of famed landscape architect Charles Gillette. In the Sulgrave area, I found The Virginia House, an Elizabethan mansion moved from England in 1925 to where it stands today. The formal garden is a series of inviting rooms, with brick walls and paths, sweeping views of grand lawns, trees and statuary completing the landscape. the moss on the roof of an old gardener’s cottage, and in the bronze plaques noting the history of the place. Thomas Jefferson’s uniquely designed serpentine walls at the University of Virginia stand proudly. 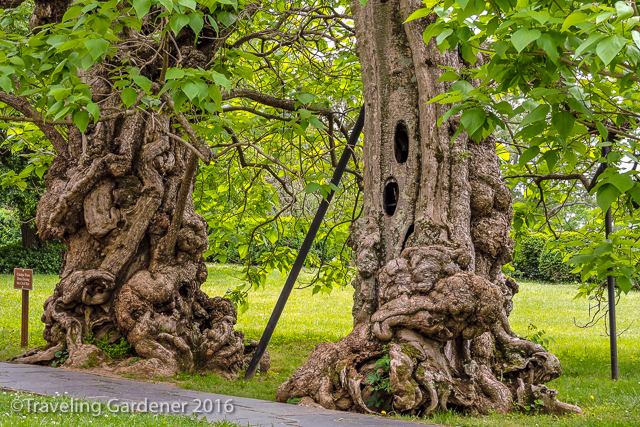 Gnarled trunks of twin Catalpa trees still provide shade as they once did for Civil War soldiers outside Chatham House. The gardens tell the story of the families who lived in the big house and of those who worked to make that life possible. 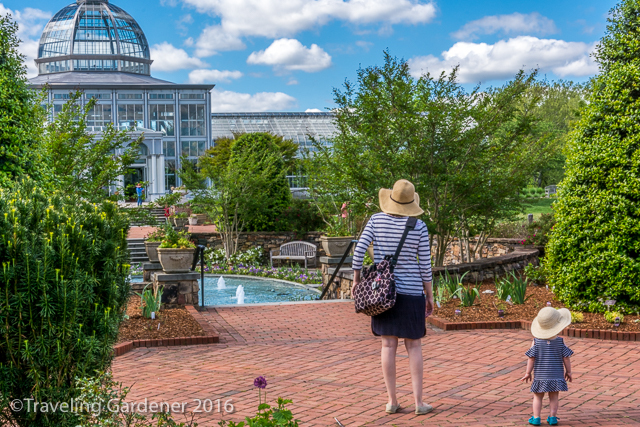 In addition to Historic and private gardens, Virginia offers well known public gardens, such as Lewis Gitner Botanical in Richmond, and the Norfolk Botanic Garden. This contribution was publicly celebrated in 2009 with a bronze sculpture “Breaking Ground” acknowledging the little-known story of the garden. 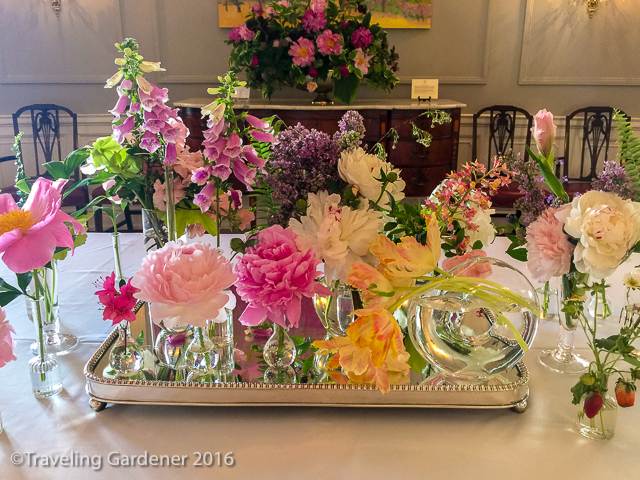 Throughout the tour, the homes are beautiful, but the garden tour volunteers dress them up with fresh floral arrangements. 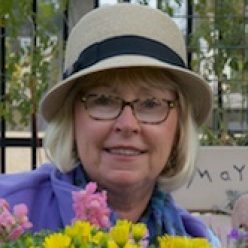 Garden Club members gather flowers, branches, and vegetables from their own gardens, (dodging damaging rain and winds ahead of the event) to supply 2,300 floral designs for this year’s event. 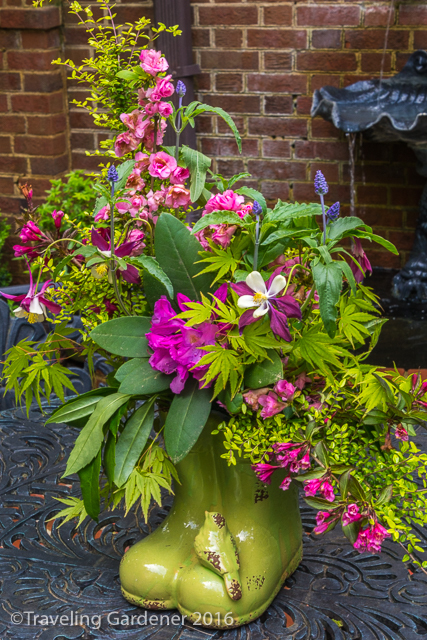 Using the vases and containers of the homeowners the designers create the arrangements onsite. Everything from a tiny single flower on a windowsill to a tall sweeping display on a dining room table or fireplace mantle has been expertly designed. 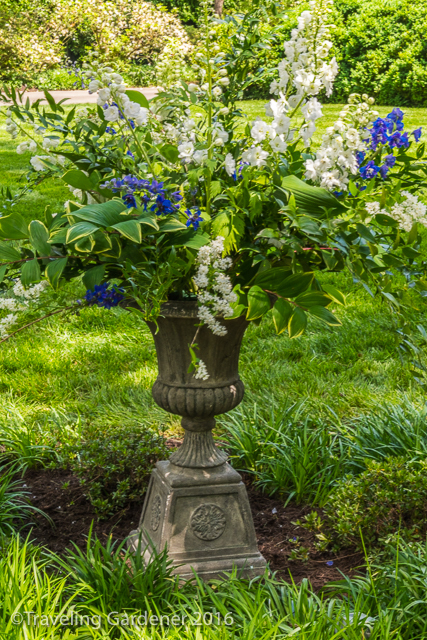 Spring blooms of hydrangeas, peonies, tulips, lilacs, fringe tree, shamrocks, curly willow branches, bells of Ireland, narcissus, viburnum, iris, and more were displayed. 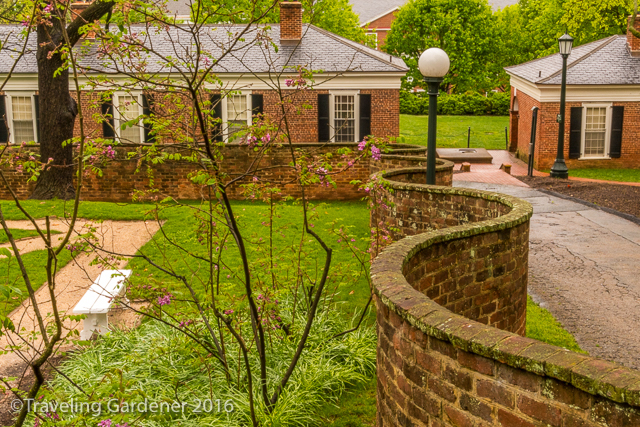 Virginia is a green paradise filled with amazing architecture, endless trees, rivers, coastline, and gardens. 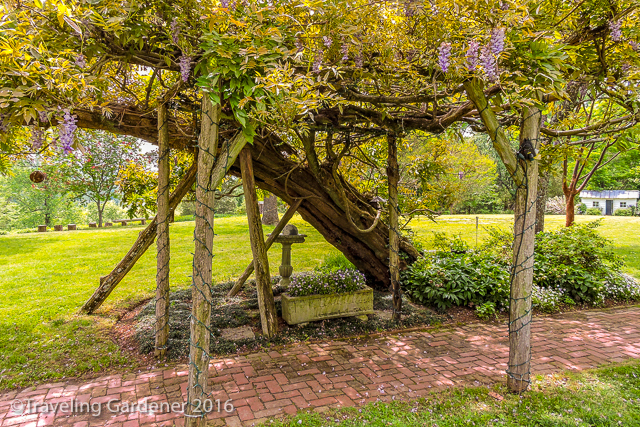 A simple stroll in Virginia gardens is an opportunity to be transported through our country’s history. 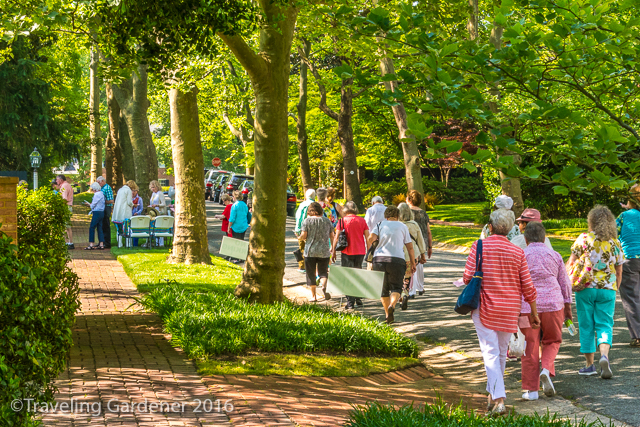 The efforts of the Garden Clubs of Virginia of continuing this volunteer event, funding and working to restore historic gardens while sharing the beauty of garden history are indeed to be celebrated. 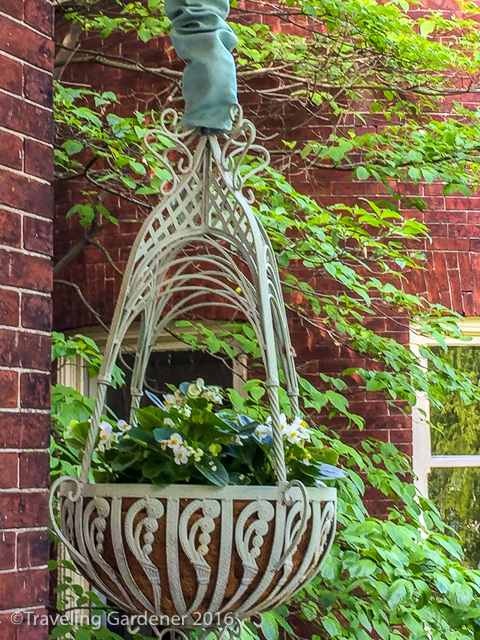 And my absolute favorite hanging basket from a portico on Monument Avenue. 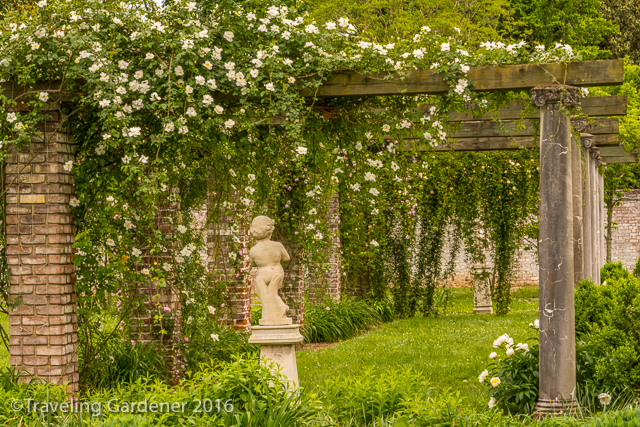 Thank you for sharing the beauty of Virginia gardens.